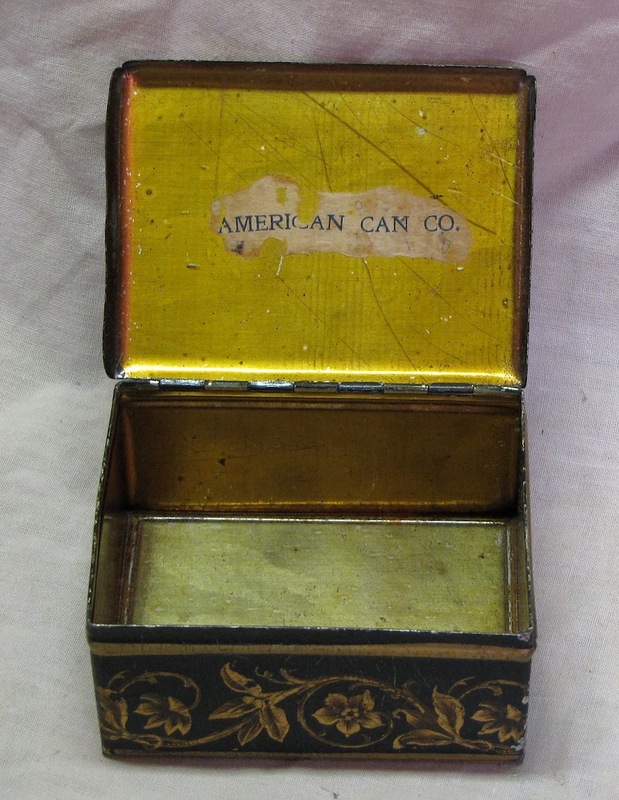 A small tin that I assume was used as an advertising piece for the American Can Company of New York. 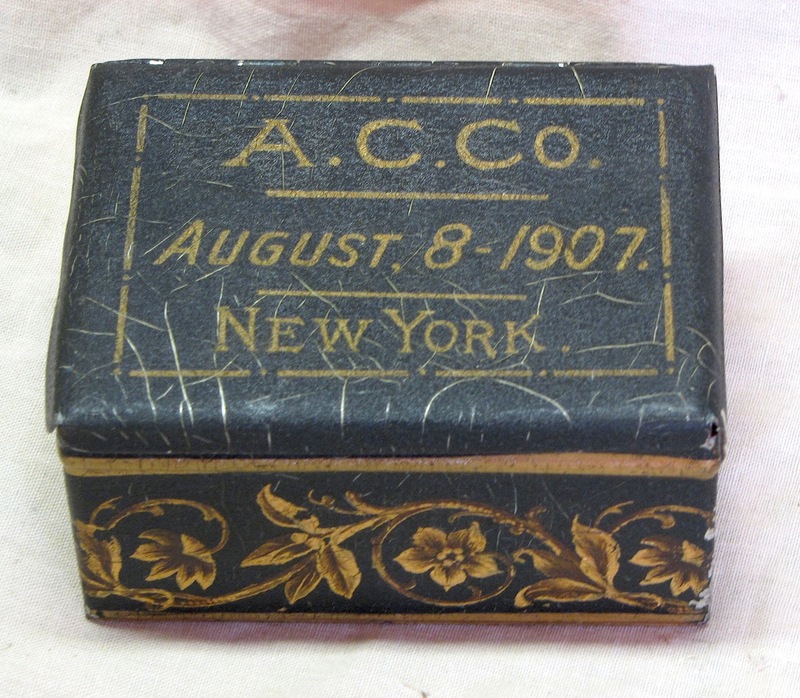 A date of August 8 - 1907 is on the top. This could have been done to mark a retirement or a special date in the company history. 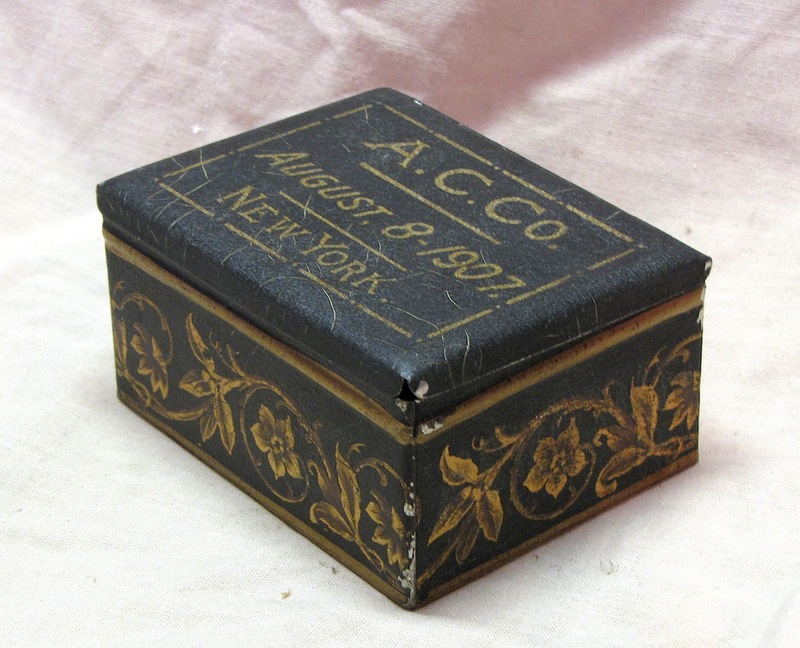 The exterior is painted and there are remnants of a paper label on the inside of the lid. Overall size 3 1/2" by 2 1/2" by 1 3/4" height. Good condition with the expected age cracking in the paint.